We are starting the new year with two dear friends, and two of LA’s most celebrated selectors. It has been nothing short of amazing watching their stratospheric rise over the last few years. 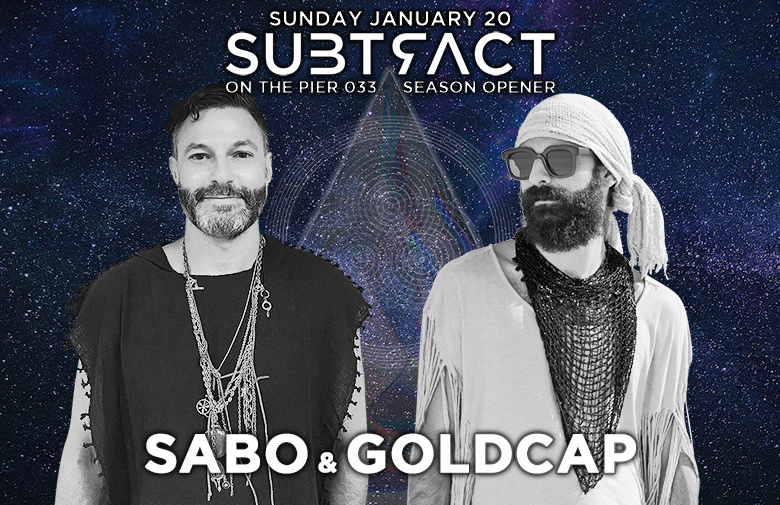 With Sabo’s label Sol Selectas going from strength to strength and Goldcap’s unmatched eclectic sounds, when these two come together, their back to back sets are stuff of legends! We are excited to welcome them back to the pier for the first time since 2015, with an open air setting that’s just perfect for all of this magic to unfold. No stranger to world and desert sounds himself, having co-founded Desert Dwellers and Moontribe Full-Moon Gatherings, Treavor Moontribe will be playing back to back with our own Anton Tumas as BIG GUY little guy to get the party started.